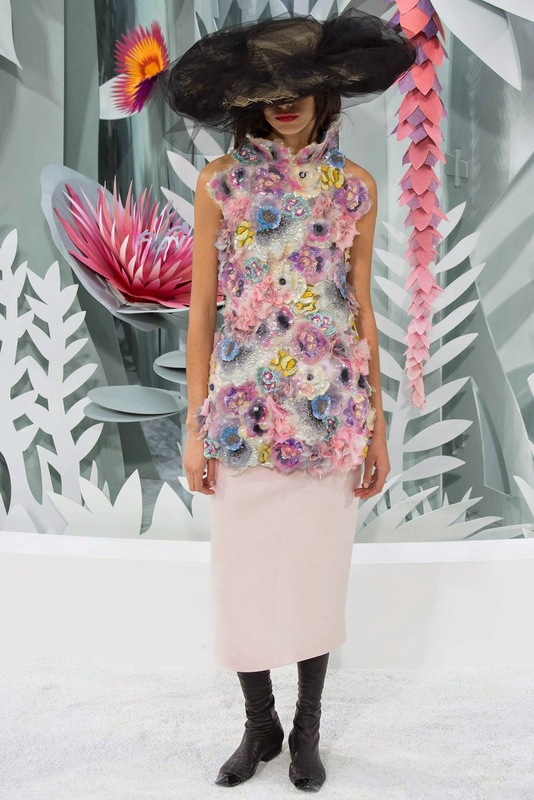 Is there a better opportunity to break the sad silence on my blog than a Chanel fashion show? I cannot think of any! I am truly sorry about my absence, but when I was just calming down after the horrific events that happened here in Paris, my exams were coming up. As a matter of fact, I am still in the middle of them, as this week I have all my exams right after eachother, thirteen in one week, so life is quite hectic at the moment; but even a crazy week like that cannot make up to the Paris Haute Couture Week! Karl Lagerfeld proved once again that he simply cannot fail to create the most amazing designs, and yet again, the models were dressed in unique Chanel style with a modern, yet very classy twist, and the Grand Palais was magically transformed into a flower garden, including attractive gardener with watering-can. This show made me obsess over hats, delicate, detailed haute couture hats and beanies. If I must make a list of things that make me happy in life, I would most definitly name beautiful dresses, flowers, pastel colours, Chanel and Paris. When combining all of these and putting it on a runway, one cannot be unhappy! The only remark I have is: why those shoes? Maybe because it fits the black veil? Anyway: there are many things from this catwalk I would not hesitate to put on, and I am sure Haute Couture week will have more wonderful runway shows coming up, especially as tomorrow my other favourite designers are up: Valentino, Viktor & Rolf and Elie Saab. Thank you Paris Fashion Week, with a special mention for Chanel, to keep my spirits up during this week of exam torture! Amazing collection, I love all that flowers!!!! Lagerfeld is just a genius. 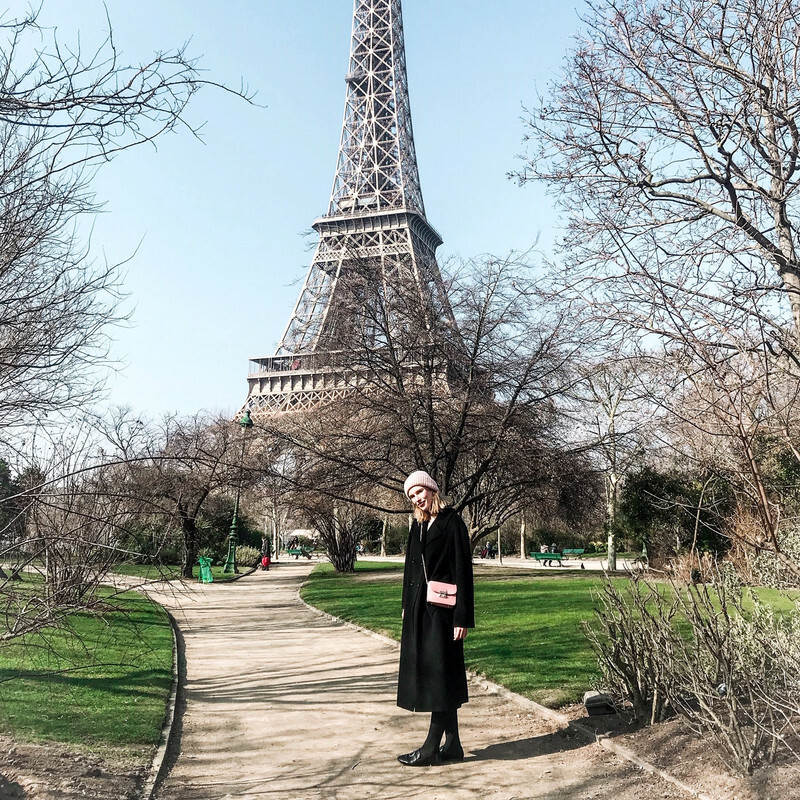 Chanel never disappoints, such a great blog post! ingenious designs...what more to say! En ja ik ben volledig akkoord, wat een kunstwerk op zich, deze catwalk! Er zitten leuke kleurtjes tussen, laat het voorjaar maar komen!